President John Momis has called for the Prime Minister O’Neill and the global mining giant , Rio Tinto, to reveal any dealings between PNG and Rio Tinto in Rio Tinto’s shares in Bougainville Copper Ltd (BCL). Rio Tinto is the majority shareholder in BCL, with 53 per cent equity. In August 2014, Rio Tinto announced a review of its investment in BCL. “For over a year now, Prime Minister O’Neill has expressed interest in the National Government taking control of BCL. He proposes that PNG operate the Panguna mine in Bougainville in the same way it operates the Ok Tedi mine. The Prime Minister expressed that view to me early in 2014, and to members of the Bougainville group known as the Me’ekamui Government of Unity. “In 2014 I made two strong statements against the Prime Minister’s proposal, the most recent dated 11 December. In that statement, and in a letter to the Prime Minister of 11 December, I made it clear that all decisions about mining in Bougainville must be made by the Autonomous Bougainville Government. I also spelt out that it would be completely unacceptable to Bougainvilleans for the National Government operate the Panguna mine. “The Prime Minister replied in a letter dated January, but not received by me till late March. Amongst other things he said the National Government had no intention of taking control of the Panguna Mine. “But as yet unconfirmed information available to me indicates that the National Government may be planning to purchase the Rio Tinto 53 per cent share in BCL. The National Government has always held 19.3 per cent of the BCL shares, and so if it takes Rio’s shares it would own over 72 of the equity. “On 20th March, I wrote to BCL, seeking advice from either BCL or Rio Tinto, about the whether such share transactions between Rio and PNG were under discussion or preparation. I received a brief reply from Rio, addressed to BCL but passed on to me, dated 23 March. “The Autonomous Bougainville Government (ABG) has been deeply concerned at the possibility that Rio and PNG might be contemplating trading shares in BCL. 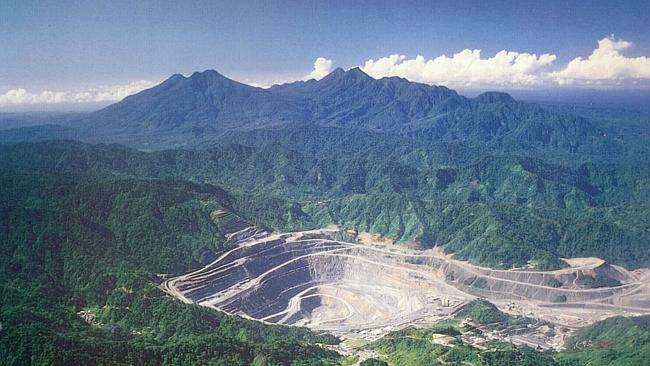 The only valuable asset that BCL has is its limited rights over minerals at Panguna. Trading in Bougainville’s minerals between Rio and the Australian colonial Administration occurred in the 1960s, without any reference to Bougainville. We cannot allow a new form of colonial dealings in Bougainville’s resources to occur. President Momis said that as a result of the gravely serious issues involved, he was now calling on both the Prime Minister and Rio Tinto to clarify the position: ‘They must state publicly and clearly whether or not either of them is planning, or is in any way involved, in preparing for or conducting, any transaction involving transfer of Rio Tinto’s shares in BCL, either to the PNG Government or to any entity controlled by or involving PNG’. “That exploration licence is intended to put BCL in the same position as any exploration licence holder that has completed exploration, and wants to apply for an negotiate about possible grant of a mining licence. It gives BCL a right to negotiate the conditions on which it might be allowed to resume mining, but only if it gets permission from both customary landowners and the ABG. “It is normal for mining laws to allow withdrawal of an exploration licence if there are any commercial dealings in the licence in the first two years after it is granted. In passing the Bougainville Mining Act 2015 in March, the ABG House of Representatives amended section 112 of the Act to make it clear that dealings in more than 25 per cent of the shares in any company holding an exploration licence will also allow withdrawal of the licence. This is very concerning, as GoPNG majority ownership of the Panguna mine would place Bougainville’s main source of revenue under Port Moresby control and I can’t imagine many Bougainvilleans accepting that situation. Momis, you have known since 2014 about this move yet you passed the Mining Bill in March 2015. WHY WERE YOU COERCED TO PASS THE MINING BILL? 28 MARCH 2015: The controversial Bougainville Mining Bill has been passed by the Autonomous Bougainville Government parliament and has been immediately condemned by critics as “forgetting history”. The bill went through the third reading to become a Bougainville law yesterday.